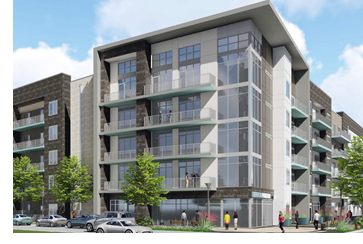 ​​​ ​​IRVING – Development is underway on Jefferson Promenade, a 387-unit apartment project east of the Irving convention center near Northwest Hwy. and Las Colinas Blvd. The four-story community will also be located near the new Toyota Music Factory and adjacent to a commuter rail station.